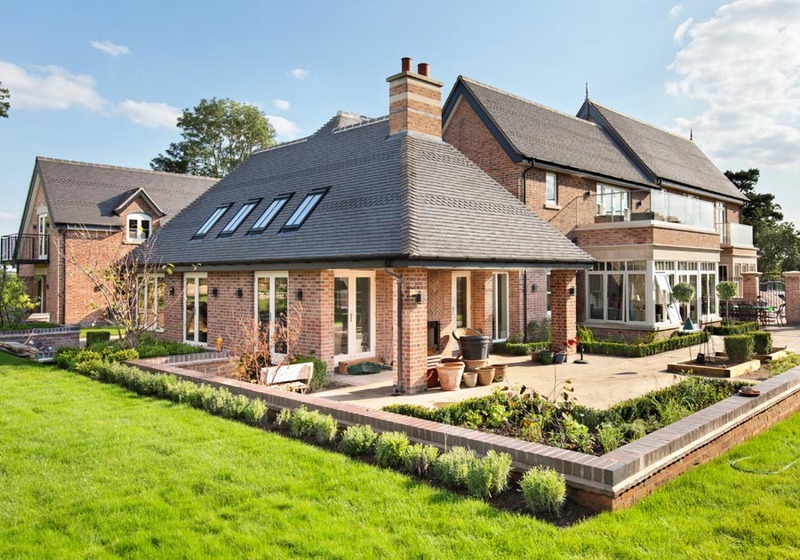 This luxury self build designed by Matthew Montague Architects is situated in a rural location in Darbyshire. 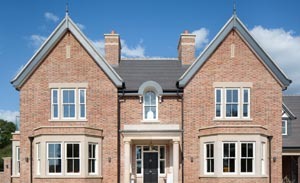 It takes its inspiration from the Victorian era with its projecting 3 sided bay windows and decorative roof. This plot is in a rural location in Derbyshire on the edge of the beautiful peak District. 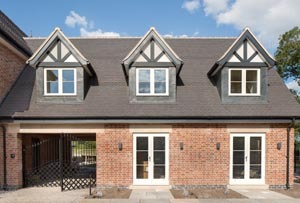 Matthew Montague Architects are familiar with Dreadnought having used their tiles on other high quality self build projects. 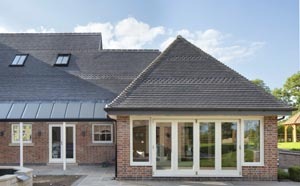 It was important to specify building materials that would fit in with the local vernacular and the surrounding countryside, without looking too stark. 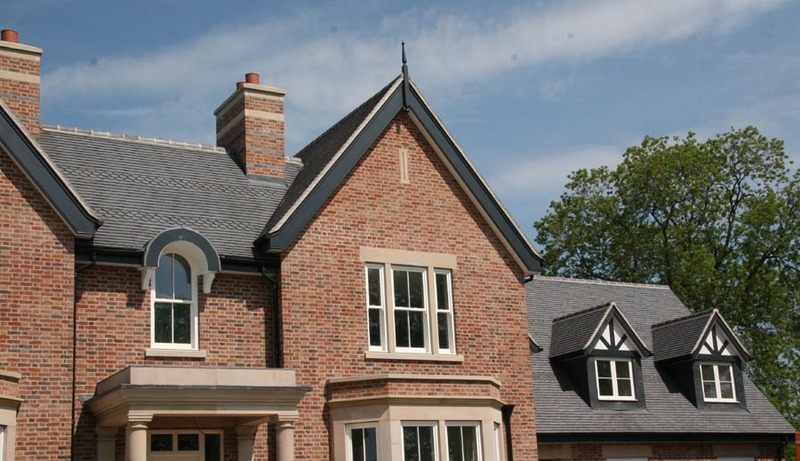 The clients had selected a blend of Wienerberger bricks, a 70:30 mix of Kassandra Multi:Renaissance Multi and they were looking for a roofing material that would blend well with the bricks and and the various tones within them. 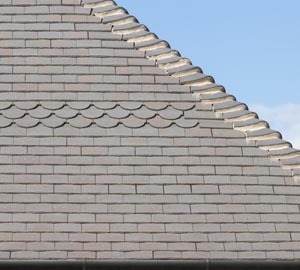 Staffordshire blue roof tiles are popular in Derbyshire and Dreadnought are now the only independent manufacturer of Staffordshire clay tiles. Other manufacturers nowadays make a blue or dark grey tile using applied surface stains, but Dreadnought have uniquely retained their expertise in achieving a range of staffordshire clay colours through careful control of the kiln atmosphere. This process produces tiles with natural shade variations and this together with the sanded rustic surface of the tile, give a softness to the roof. The architects also decided to use bands of ornamental club tiles to break up the large expanses of roof and provide interest.